Easily sell your tickets. Sign up for free to get started! The time getting your tickets only at local outlets has passed, your customers can now also buy your tickets online in USD and EURO or by redeeming their Fun Miles! After buying the customer receive the ticket by e-mail or download. Printed or shown on their mobile device the tickets are being scanned and registered at the entrance. 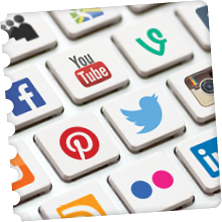 We will help you sell your tickets thru our own channels or sell on your own website and facebook page using our iframes. Monitor your selling progress and adjust descriptions, prices and tickets accordingly. Your customers can now buy your tickets online in USD and EURO or by redeeming their Fun Miles. 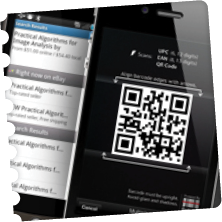 Scanning small-volumes is done with our own scanning app for Android. The app verifies the tickets by scanning it right off your guests' phone or paper ticket. 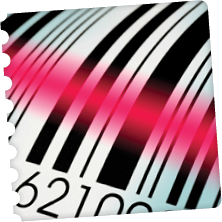 For high-volume scanning we even have scan poles, booths, laptops & handheld scanners available. No event is too big for us. 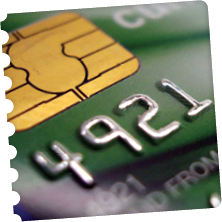 Quick payouts, within 5 business days on your local bank account in your local currency. Caribbean Ticketshop staff supporting your event entrance, mostly for free! ESCROW-accounts, your money is safe! Did you know there is NO COMMISSION on online event-tickets up to 25 guilders? Being in the ticket business, we know in the Caribbean some people are still used to buying their tickets the old fashion way; at the local ticket outlet. As an organizer, this means the hassle of printing tickets, passing by all the local outlets dropping them off, evaluate ticket sales and receive your funds. We can accommodate this for you! 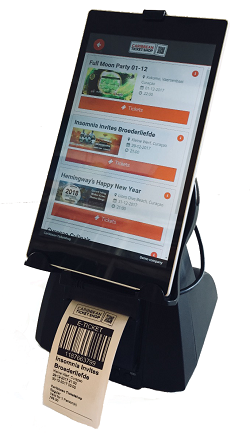 We developed a line of POS terminals with our own, dedicated ticket software so you are able to sell your tickets offline as well. Tickets are printed on the spot, your money is safe in our ESCROW account and you get informed about the ticket sales daily by e-mail! Caribbean Ticketshop is famous for its outstanding service and as best priced Caribbean ticket provider! To apply, please send us an email at sales@caribbeanticketshop.com or by clicking on “apply now”. We speak both Dutch and English. We will get in touch a.s.a.p. with further pricing and your personal demo!